B.A. from St. Mary’s College. Studied with Gustavo Them, Studied jazz at Montgomery College with Walter Johns. Over 21 years performance experience. Over 7 years private teaching experience. Teaches all musical styles with an emphasis on music fundamentals, reading, music theory, classical repertoire and popular songs. Teaches through adult. 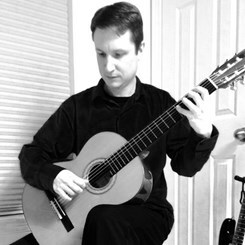 Request Lessons with Michael Haverty today!